Most new parents experience feelings of anxiety, exhaustion, and loneliness after the arrival of a new baby. It’s a normal experience that eventually improves. As many as one in seven women have postpartum depression. This is a much more serious disorder that will not go away without treatment. The following myths will help shed light on a topic that every new parent should know about. Many patients with postpartum depression identify symptoms three or four months after giving birth. This disorder can occur anytime during the first postpartum year and can even begin to appear prior to delivery. Approximately 80% of women develop Baby Blues, which is a short period of sadness after giving birth. The condition goes away on its own. Postpartum depression, on the other hand, is much more severe and will require the assistance of a medical professional. Postpartum depression affects each woman differently. Some will cry constantly. Others experience emotional numbness or anger and irritability. Feelings of guilt can also appear because the new mother isn’t enjoying their baby like she thinks she should. On very rare occasions, some new mothers harm their babies due to mental illness. 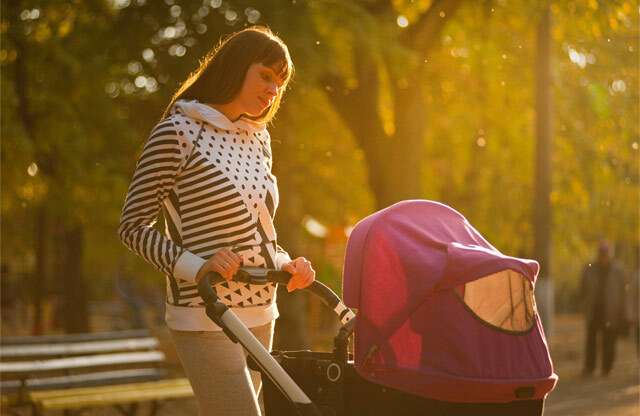 These situations are often incorrectly attributed to postpartum depression. The disorder does not automatically make a mother hurt her child. Only about .1% of patients will experience postpartum psychosis, which causes a disconnect with reality and is a medical emergency. Anyone can experience postpartum depression. Women with no history of mental illness can suffer from the disorder. Many famous people have also dealt with this condition, including Gwyneth Paltrow, Alanis Morissette, and Brooke Shields. If you notice symptoms of postpartum depression, seek medical advice immediately. Call our office to schedule an appointment and find out how to cope with this disorder.